The findings are the latest to suggest that these universally fatal, if rare, diseases can be spread through the eyes. But they also indicate that our eyes might be someday be used to spot these cases with less hassle than current testing methods. We can get sick from prions in a few ways. Sometimes, people are born with mutations passed down in their family that increase the risk of developing a prion disease, including a form of CJD. Most commonly, as with people who have sCJD, the prions show up spontaneously, with the normally harmless prion protein changing into a misfolded form that makes nearby proteins misfold, too. But what’s especially terrifying about prions is that they can also be infectious, capable of spreading from person to person, or even animal to person. It can take years, even decades, for the symptoms of a prion disease (such as dementia or muscle weakness) to show up, but once they do, it’s usually only a matter of months before death. The most infamous example of person-to-person transmission is that of kuru, a disease spread among the Fore tribe of Papua New Guinea through their ritualistic practice of eating the brains of deceased loved ones. (When the Fore people stopped eating human meat in the 1960s, kuru was eradicated.) But people can also catch CJD from contaminated surgical tools that touch or come near the brain, as well as certain kinds of transplants from infected donors. But the researchers behind this latest study wanted to search for prions in the eye via a different testing method that’s become the gold standard for detecting prions in recent years, the RT-QuIC. Unlike older methods, the RT-QuIC directly looks for the presence of misfolded prions in a test sample, using a fluorescent dye. And nowadays, the accuracy of the test in diagnosing CJD is more than 90 percent. They tested samples of eye tissue donated by 11 people who had died from sCJD. In all 11 people, the highest level of prions was seen in the retina. But prions were also scattered throughout the cornea, lens, and other muscles in and around the eye. According to the researchers, theirs is the first study to detect prions in these other parts of the eyes. 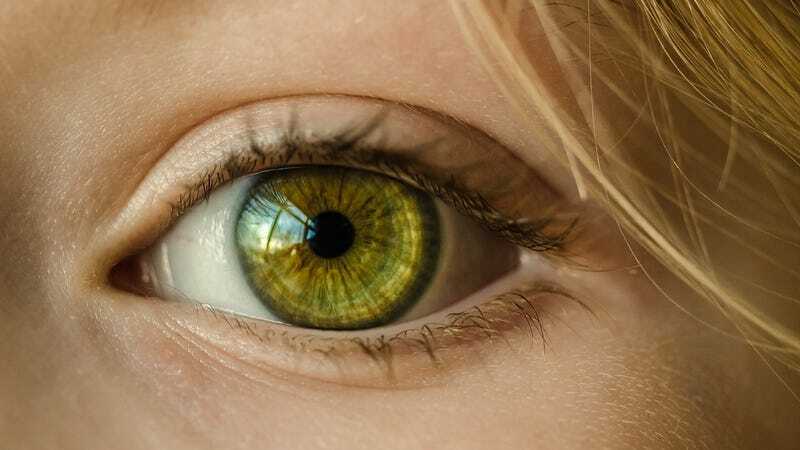 The findings, published Thursday in mBio, confirm the need for eye doctors to be especially careful when treating people who could have CJD, according to senior author Christina Sigurdson, a pathologist at the University of California, San Diego. “Surgeons could unknowingly contaminate their instruments with prions,” she said in a statement. The best way to prevent transmission would be for eye doctors to use disposable equipment, but barring that, it requires the heavy-duty decontamination of these tools between uses, since prions can survive sterilization techniques that would kill bacteria and viruses, like radiation, formaldehyde, and extreme heat (when used alone). The study also adds more incentive to develop lab-grown, synthetic corneas that can be used for transplants instead. There have been only two documented cases of CJD likely caused by corneal grafts, but the procedure is becoming more popular worldwide, according to the researchers, increasing the very small but real risk of future incidents. Overall, around 350 Americans a year develop any form of CJD. Still, there are a few positive takeaways from the study. The team found levels of prions in the retina that were almost as high as what they could find in the brain. That might mean we can modify or create non-invasive tests for CJD that just rely on the eye. As things stand right now, doctors usually diagnose CJD in a living person by testing their spinal fluid, which can only be obtained though an intensive, sometimes painful spinal tap. “It really suggests we could develop a diagnostic, eye-based assay,” Sigurdson said. Sigurdson and her team are already at work trying to develop newer diagnostic tests for prion diseases. They also hope to further explore the eye’s role in CJD, such as whether a person’s tears can carry prions.